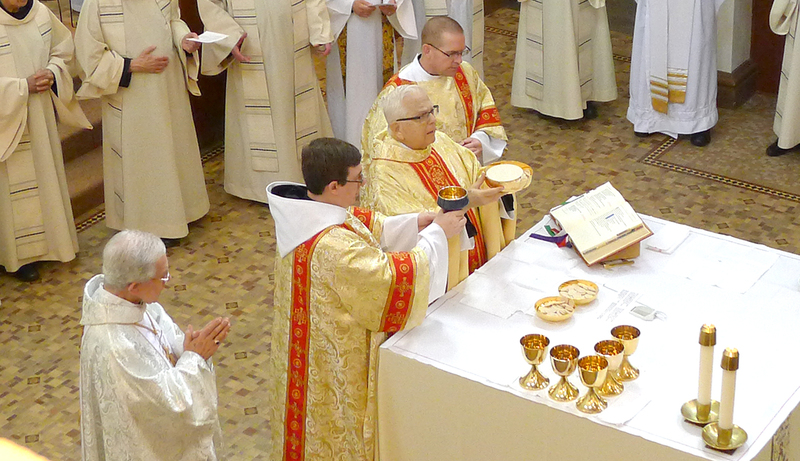 Mass of Christian Burial of Father Paschal Cheline, O.S.B. One of Fr. Paschal’s favorite place for lectio divina. It seems fairly obvious to me that my earthly days are reaching their conclusion. As this comes to be, I would like to say a profound Thank You! to God for life, faith, you my confreres, my family, vocation and friends. I loved my childhood days in Idaho and have loved my life at Mount Angel over these 63 years. I thank all of you who have been a part of my life at Mount Angel. The monastic life is a wonderful charism in the Church and has resonated well with my life: community, silence, choir, obedience and reading—all growing out of the Liturgy. 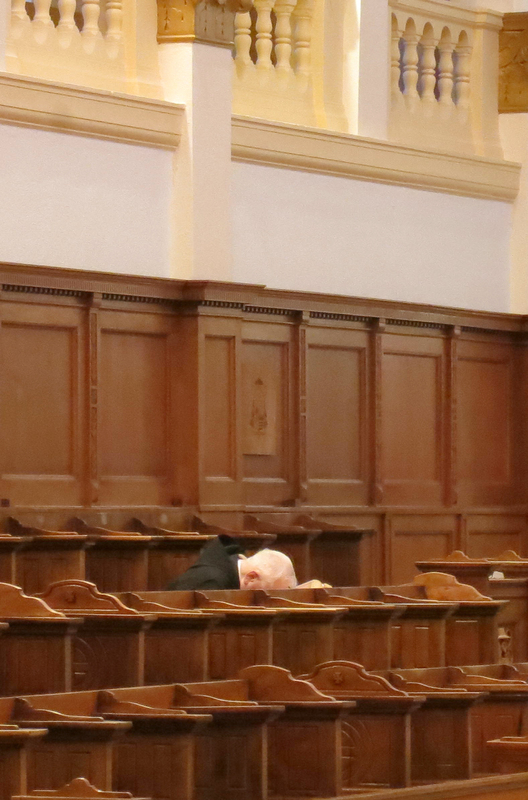 I have loved the teaching charism in the Seminary. Teaching those who will carry on the faith is a privilege for which I am very grateful. And so, my brothers, I thank you for the privilege of spending my life in this Monastery with you. Please pray for me and know that I will be praying for you. My brothers and sisters, the main reason why I wanted to share with you Father Paschal’s last letter to his community is to let you know what is so clear in its lines, namely his profound gratitude to God for what he experienced as so many precious gifts in his life, those special treasures that he noted in his letter as his very life, his cherished faith, his monastic community, his beloved family, his vocation as monk and priest, and, yes, his countless friends! 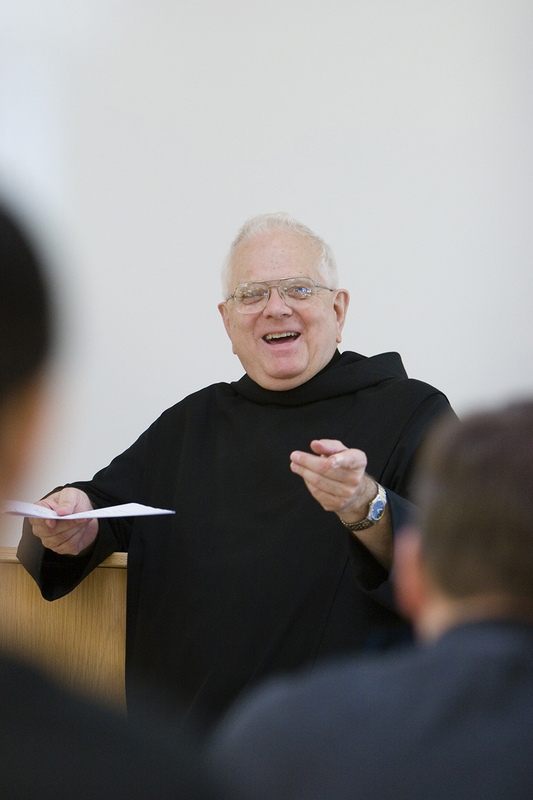 Father Paschal was also deeply grateful for what he called in his letter the “teaching charism,” which defined so much of his life’s work, especially in the seminary; for him it was a great privilege to teach those who would in turn be teachers of the faith. 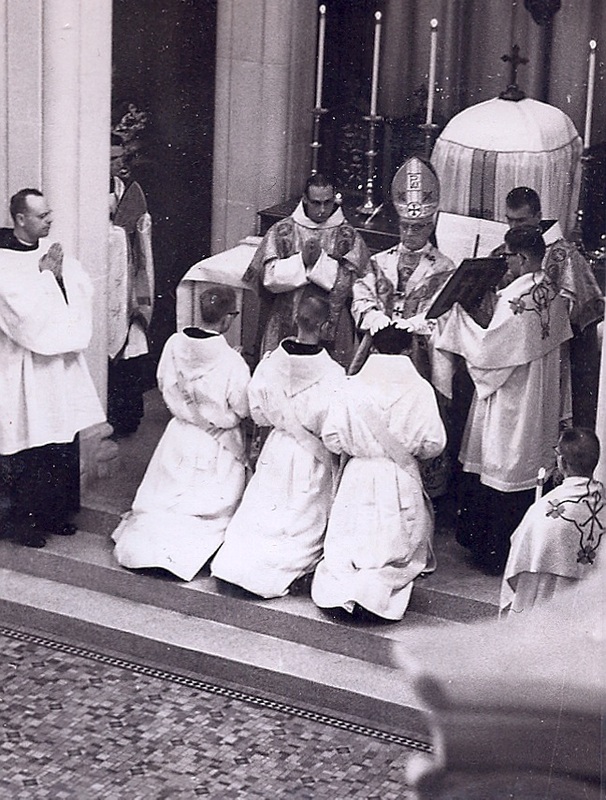 And he had his own version of the seminary’s four pillars of formation; he called it his “plan of life,” and its four essential elements, as he noted in his letter, were Jesus Christ, Church, Liturgy and… Novels! Well, I’m afraid I wouldn’t pass the test on that fourth element, but he found—and wanted others to find—in novels so many journey-stories that shed light on the mystery of the human journey to God. 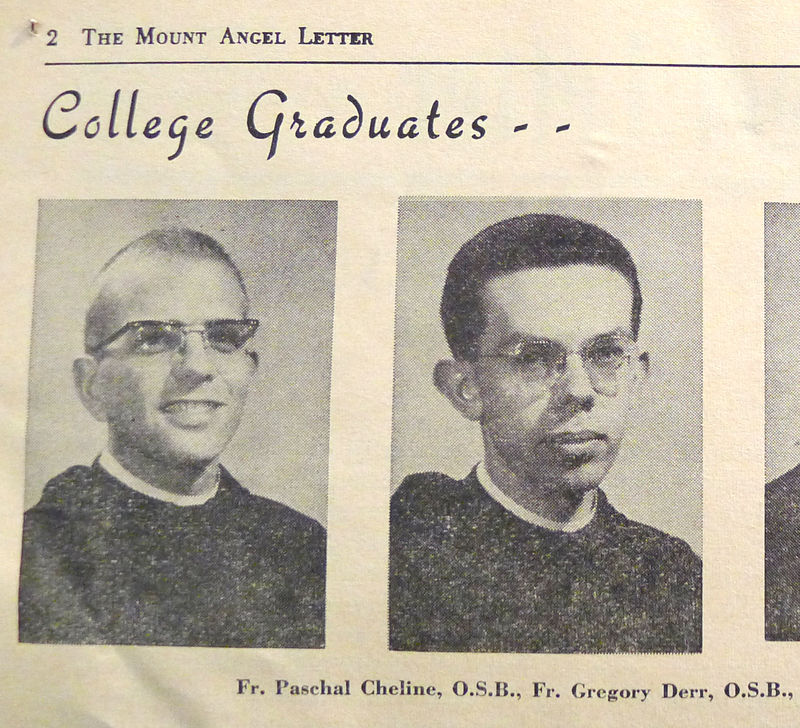 as a light to the nations who, by his life and work, has contributed significantly to the pastoral mission of the Church and the good of Mount Angel Seminary. in the year of our Lord, 2014. At that the two disciples rushed back to Jerusalem and excitedly reported to the apostles and disciples how they had recognized Jesus IN THE BREAKING OF THE BREAD! These brief reflections in the manner of what some might call a “fervorino,” or a WORD, are given in the chapter room most Fridays after the office of Vigils. Homily #583 – I Love You So Much, Jesus Christ! 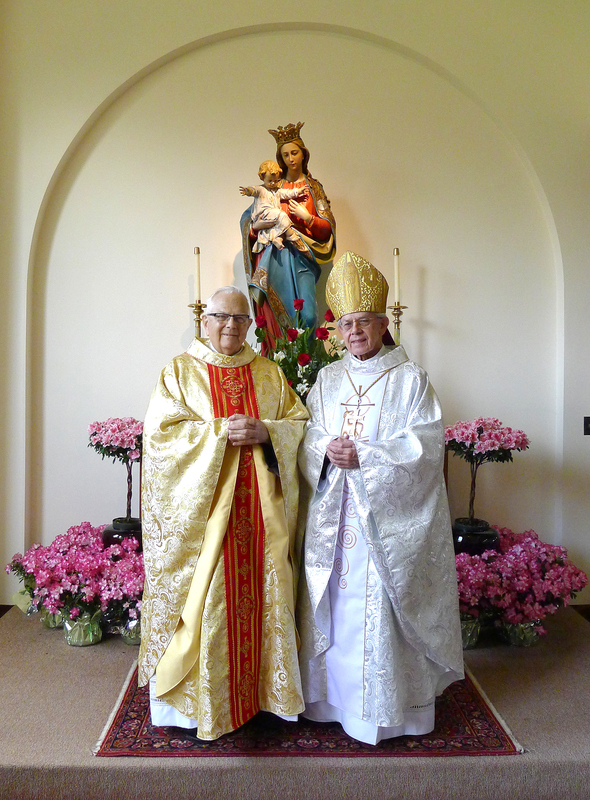 Homily #582 – Jesus Christ is Lord!